Arthritis of the spine can lead to a number of conditions with painful symptoms. Arthritic damage and the resulting inflammation, may potentially result in spinal stenosis (narrowing of the bony column that contains the spinal cord), a weakening of the bone that may lead to fractures, compression of the nerves from inflammation, or possible damage to the intervertebral discs. In those individuals who have arthritis that is not significantly painful every day, a work injury may lead to an exacerbation of the condition with resulting daily pain. In that case, silent arthritis may become very “loud”, and need Arizona workmans comp pain doctor treatment to relieve the discomfort. 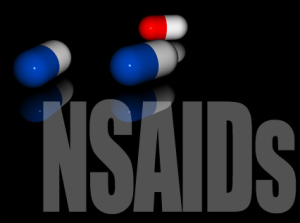 While there is no direct cure for this condition, there are a number of viable treatment options to pursue. The main goals of the outlined treatment options are to slow the rate of symptomatic progression, return joint function to the patient, and preserve the mobility of the spine. 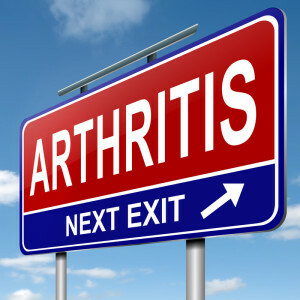 Medication can be very helpful in alleviating arthritic symptoms. These may come in the form of over-the-counter pain relievers and anti-inflammatory drugs, but may be replaced by prescription-strength medication if the symptoms are deemed severe enough by a workmans compensation pain doctor. Symptomatic medication is often the first step in the management of arthritic symptoms, and is often taken in tandem with other treatments. While long term narcotics for spinal arthritis are not a good idea, with short term exacerbations opiates can be very effective. they may allow an individual to get back to work, participate in physical therapy, etc. Exercise of the area where arthritis is present can help to strengthen the surrounding muscles and reduce wear-and-tear on the bone. It is also important to the patient to exercise this area in a comfortable manner as it will also stimulate blood flow to the area. This extra blood flow will carry nutrients to the area and help stimulate the healing process. In cases where spinal arthritis has resulted in the compression of one or more nerves of the body, resulting in pain, a block may be administered to provide relief. A block is the injection of a numbing agent into the nerve in order to prevent the transmission of pain signals to the brain. These are effective in cases where one or more nerves are a source of pain and the arthritic cause of compression is not treatable without invasive surgery (such as when the compression is from a bony protrusion). This may include an epidural injection of cortisone. 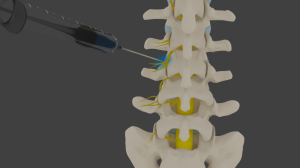 Also, there are pain injections that an injury doctor can perform when the patient has pain situated in the back without nerve compression.This may be a facet block or a medial branch block.